Hello glass fans!! I have been very absent from the internuts these past weeks. Assorted things going on in my life, good stuff for the most part, has kept me offline. 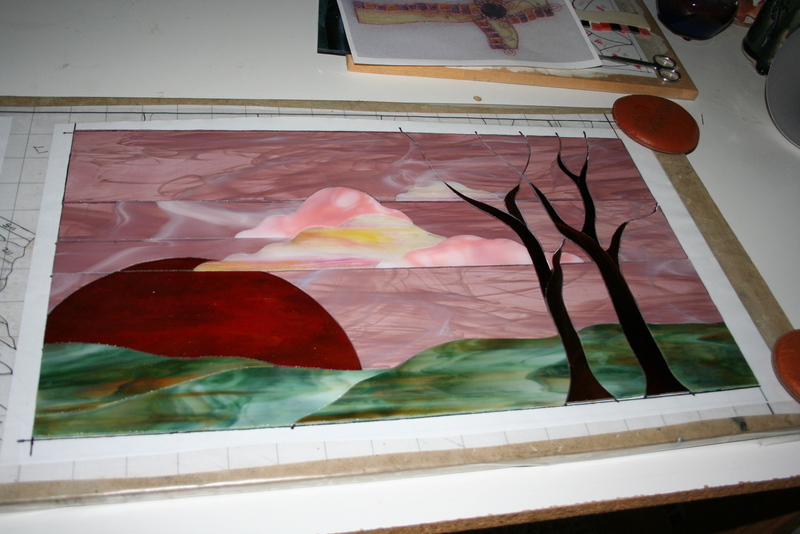 Been working glass like a mad-woman for the past couple/three weeks, as I ramp up for ArtWalk 2013, at my place of business. I decided to be a little less ambitious this year. Two years ago I hung 14 pieces for ArtWalk. 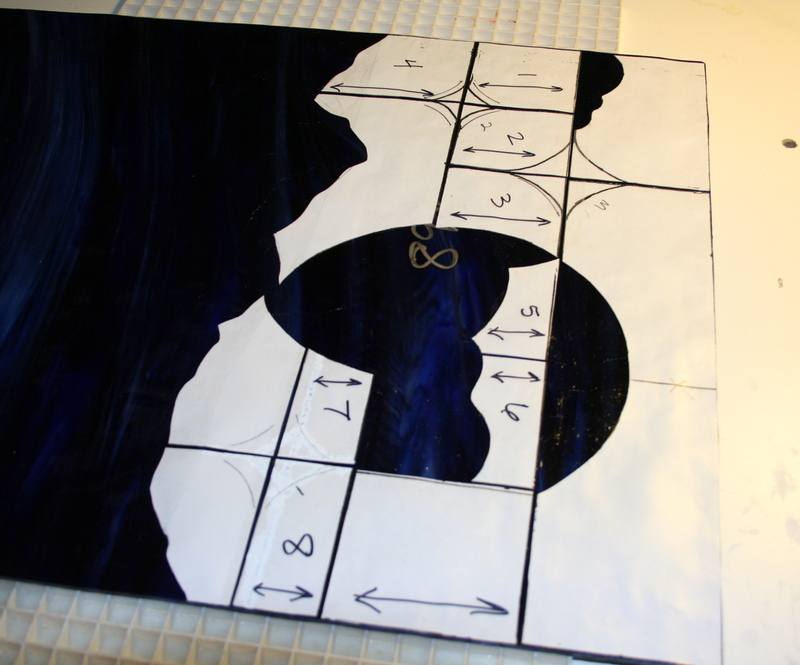 Fourteen full-sized pieces. This year the number will probably be the same, but the size of the projects will be quite different, much smaller. I have also been doing a lot of copying of other people’s projects. Haven’t had much enthusiasm for thinking up a design, and drawing my own patterns. I have taken some other designs, tweaked them a bit to put my own spin on them, and made those. It is kind of a relief. The two pieces I am working on today are really lovely, and are moving along so quickly, i almost can’t believe it. 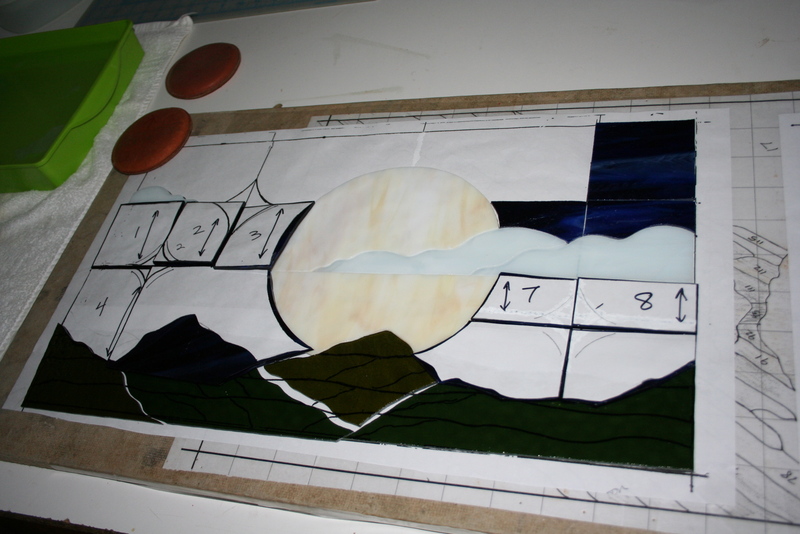 I managed to cut all the glass for one piece, get the second piece completely ground and fitted, and the first piece about half ground. all in one evening. unheard of. ~ by kellig on October 21, 2013.